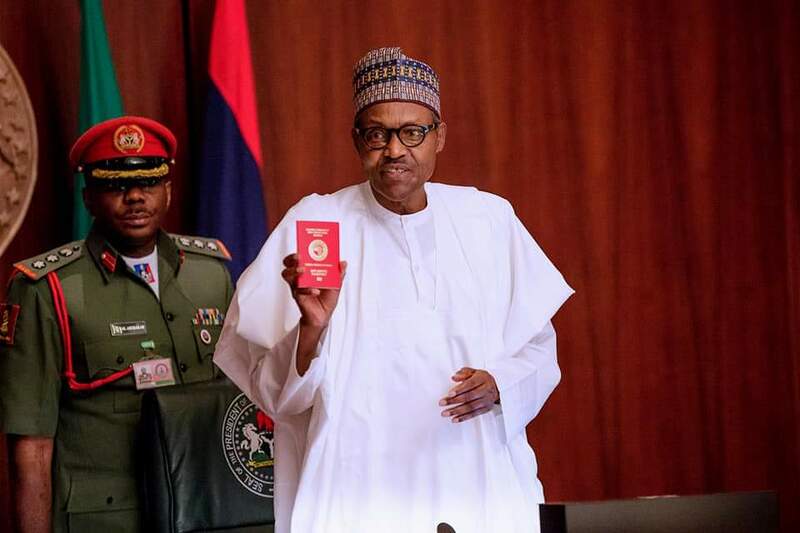 President Muhammadu Buhari has on Tuesday at the council chamber of Aso Rock in Abuja, launched a new enhanced Electronic International Passport. Naija News learnt that a specimen copy of the new enhanced electronic international passport was handed to the president by the Comptroller General of Nigerian Immigration Service, Mohammed Babandede. The Minister of Interior, Abdulrahman Dambazzau was also present at the presentation of the new passport to the President. @ASO_VILLA PMB was presented the New Enhanced Electronic International Passport… A sigh of relief for Nigerians who often time feel ashamed of the green passport. 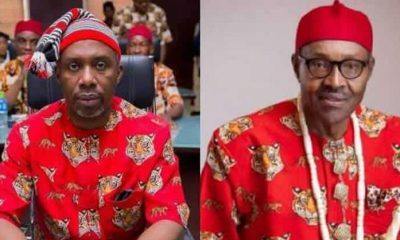 He said a 32-page new passport with five years validity period goes for N25,000 in Nigeria and $130 abroad, a 64-page passport with validity period of five years goes for N30,000 in Nigeria and $150 abroad and that a 64-page passport with 10 years validity period goes for N70,000 in Nigeria and $230 abroad.